I’ve had my Smartipants diaper for about 8 months. Initially, I didn’t think it was anything to really write home about. However, the more I used it, the more it became a favorite. It has been used nearly daily for the 8 months I’ve had it. I just took these pictures last week, so this is what it looks like after 8 months of wear & tear! The Smartipants diaper has a “smart sleeve” that the insert slides into. 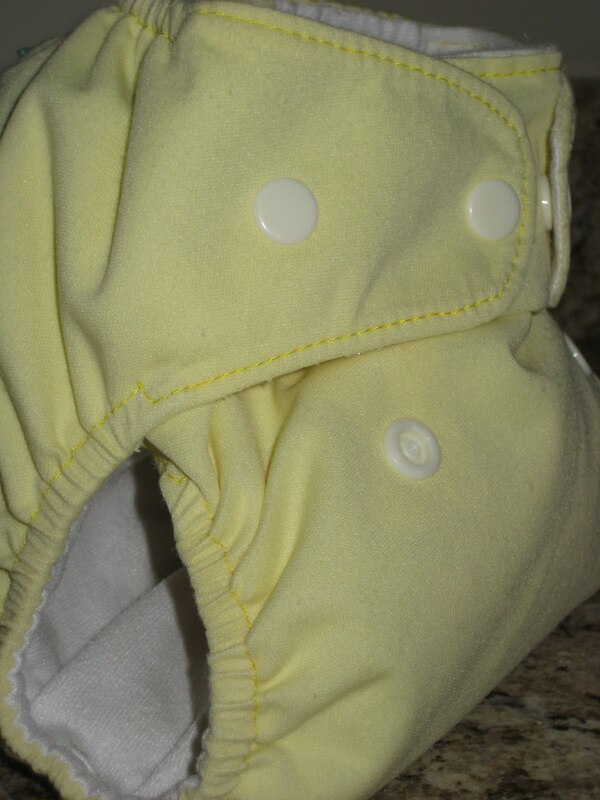 Much like a pocket diaper, it has a waterproof outer and soft fabric against baby’s skin. 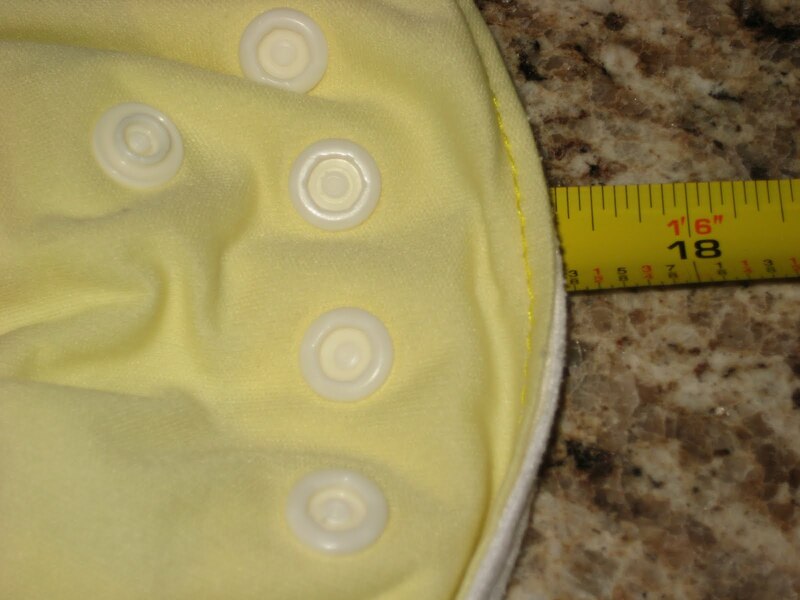 Each diaper comes with a smart sleeve microfiber insert. Here are the two things that really make Smartipants stand out to me. First, the insert agitates out in the wash. It really does! 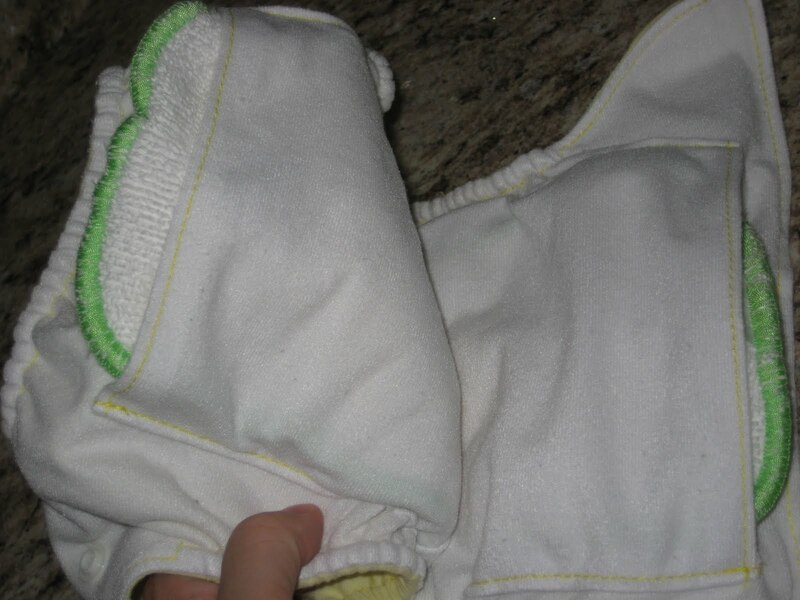 With my other pocket diapers, I use the wipe to yank the insert out before I throw it in the pail, so I don’t have to touch it later. The smart sleeve insert comes out by itself, so just throw wet ones in your pail as is! 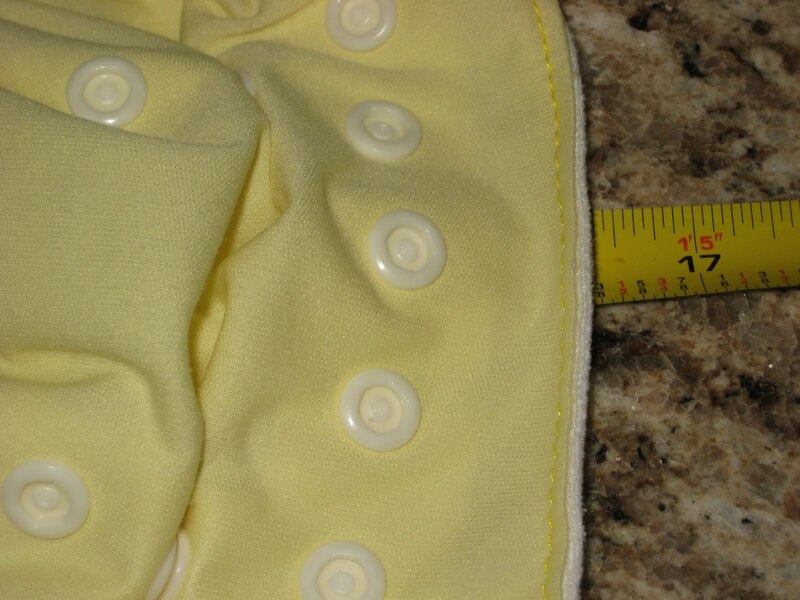 Second, each diaper and smart sleeve insert costs only $14.95! They’re also available in 3-packs, 12-packs and 24-packs with discounted prices. 24 diapers cost $279.95 or about $11.66 per diaper! That’s enough to cloth diaper full time, washing every other day, with a few to spare. More important than price (to me) is the fact that they do not leak, and our Smartipants has held up wonderfully! 8 months of mostly daily use and zero problems. Smartipants have snap closures, with just two snaps on each wing, which is easier for me to do than three! They are also one-size by way of a snap down rise. All photos of my son in this post are on the medium setting where he is about 18 or so pounds. Smartipants recently introduced new products, including newborn diapers, smart-fit covers, smart tote wet bags and smart pail hanging wet bags! They also introduced their first limited edition diaper color, chocolate. A new color will be available for a limited time each month, and the color will be chosen by Smartipants users! So, I bet you want your own. 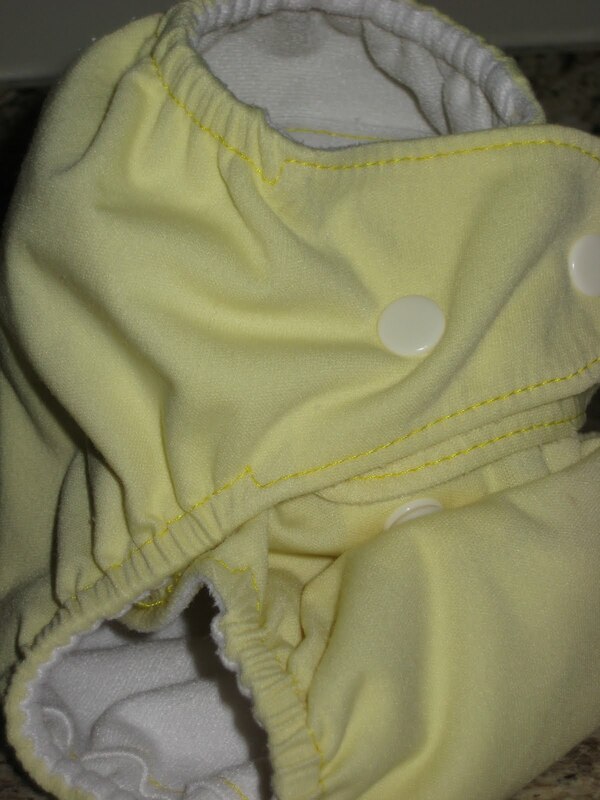 Smartipants is giving one of my lovely readers their own Smartipants diaper with smart sleeve insert, in his/her choice of color! Mandatory Entry: Visit Smartipants and tell me what product you think they should add to their line! Bonus Entry: “Like” Smartipants on Facebook. Let them know I sent you! Leave me a comment on this blog post, letting me know you’re a “liker” in order to get your entry. That’s it. Single comment entry, or double your chances by liking Smartipants on Facebook, and keeping up with all their latest news! Please make sure you leave your email address in your comment if it is not visible in your profile. I’ll accept entries until Friday, August 27th, 2010 at 9:00 P.M. Eastern. I’ll draw a winner using random.org’s true random number generator and notify him/her by email. S/he will have 48 hours to respond before the prize is forfeited and another winner is chosen. This giveaway is open to residents of the U.S. only. Review my general giveaway rules for complete details. Although Smartipants has agreed to provide a free diaper to one reader, I was not compensated in any way for this post, and all opinions are my own. >Fan on FB and told them you sent me to say hi! >It would be great to see some cloth wipes and solution! You can never have too many wipes! >I am a facebook "liker"!! >I would love some cloth wipes added. >Organic cotton / hemp inserts and…. wipes. Print diapers would be really cute too :)Liked on Facebook too!! >I like SmartiPants on FB and commented on their wall. >They should add reusable cloth diaper wipes and eco friendly diaper detergant. Thanks for the chance. 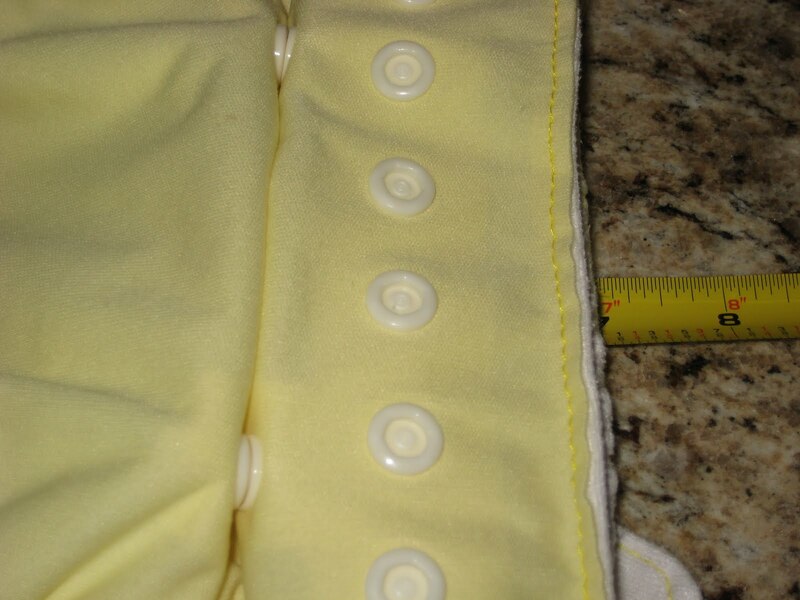 >I think they should add cute, quilted diaper liners, to protect the diaper from staining! >I think they should add a covered velcro diaper. >I liked smartipants on facebook. >I would love to see some patterns or more colors of diapers. I also think it would be great if they added some coordinating leggings on their site. I also agree with previous comments about wipes and wipe solution. >I "like" Smartipants on FB. >Looks like they could carry wipes and tush solution. >They have a lot of products- I think they could have an AI2 diaper, though! >Definitely prints would be a good addition!! >I love my smartipants diapers. I would love if they would care a diaper cream that works well with cloth diapers. Or liners for when you have to use a diaper cream. >I like Smarti Pants on fb. >I would like to see some cute patterns. >i voted for orange & added them on FB. >already like them on fb!! >I think they should add cloth wipes to their line. >I like smartipants on FB! >Cloth wipes would be a good addition, or prints for their diapers! or brighter colored diapers! >I am a fan of Smartipants on Facebook. >I would like to have the option to only purchase 1 special edition color. I usually only have room in my budget to purchase 1 diaper at a time and I don't necessarily want 3 of the same color anyway, but I would love to be able to buy just 1 chocolate one. I just got my first Smartipants last week and so far I love it. >I "like" Smartipants on Facebook. >I would like it if they offered the limited edition color in a single diaper, instead of just the three pack. >The could add a swim diaper or just more darker colors. =) I love Smartipants. >I like smartipants on facebook! >I think wipes/solution or detergent would be a good idea too! >I would love to see Smartipants add some prints! >Prints would be great. And boy prints would be even greater! >A black diaper would be cool. more non-pastel colors. >I think some prints would be an awesome addition! >I think they should add more colors! >I think they should add training pants, an AI2 system or a detergent. >I like Smartipants on FB, and I let them know you sent me! >I think they should add wipes solution. >I like Smartipants on facebook!! >I think they should add either a Toddler size diaper or an AIO with a natural inner. Or they should just do a velcro option as well as snaps like BG does! >I would love to see prints added to their line! >I would love them add prints to their line! >They should add wipes to their line. >I really wish they had an applix option. Snaps are not my friends lol. >I like Smartipants on facebook. >The only thing I can think of that should be added to their line would be wipes/wipe solution.